Here is yet another set of our unique combos, offering some special professionally hand-crafted jewlery plus a kit to make something special to match --- a perfect gift combo! The concept here is simple: A lovely pair of earrings kitted with a Bead Stew Bracelet kit designs to match. 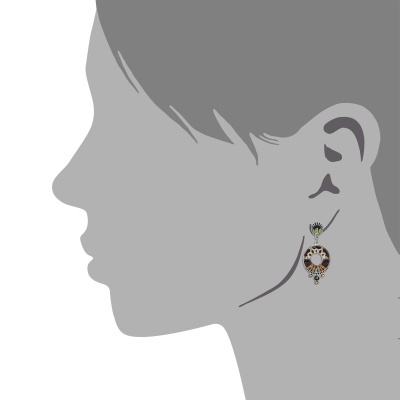 The earrings are here as an optional addition -- the bracelet seeds were selected to match beautifully. The whole makes for a marvelous set. Situated at the intersection of color and culture and fed by curiosity, Yoolie Perry-Peleg designs intricately delicate pieces of wearable art. Each piece is carefully etched and plated in silver. Glass adornments are added to finish this beautiful work. Yoolie was born in Israel and graduated form Shenkar College of Fashion & Textile Design. Size-wise I measure roughly 1 1/2" from the top of the post to the end of the dangle, and 3/4" at its widest point. 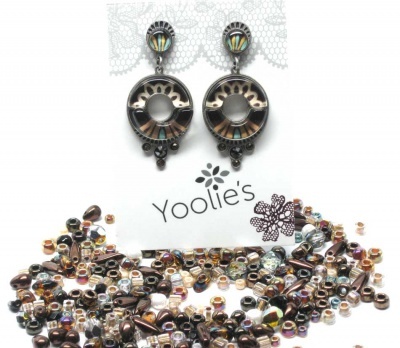 Yoolie calls these her Autumn Glaze earrings and they have a lovely look to reflect the season. Deep browns, lighter golden tones and ecru plus small crystals of topaz tones and root beer; there is also a subtle teal-aqua and interesting metal work as well. 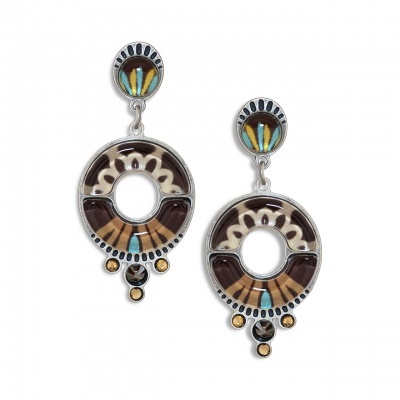 What we have done is put together a Bead Stew mix that mirrors the colors to be found in the earrings. A mix of 6/0, 8/0, cubes, megatamas, tear drops, daggers and fire polish crystal all selected in varying tones browns and golds and ecrus with a small amount of teal. 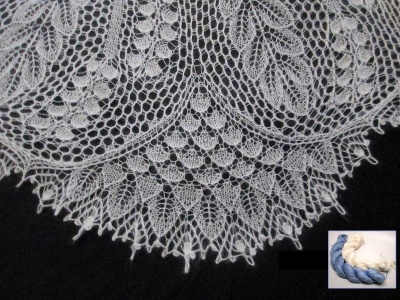 The thread will be silvertone as will the toggle clasp, reflecting the metal of the earrings. If you would, however, prefer gold for both, just let us know. 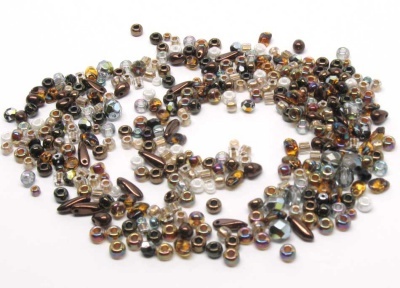 There are well more beads than needed included in your kit and so you can pick and choose what sings to you as you knit it. Each piece will be a unique creation. We offer three options. I know some of you might already have made other bracelets from us that are made along the same lines, the only real changes being the beads and the colors. 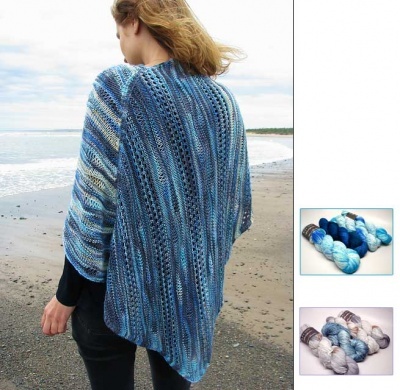 If you feel you do not need another pattern, simply choose "No Pattern Needed."